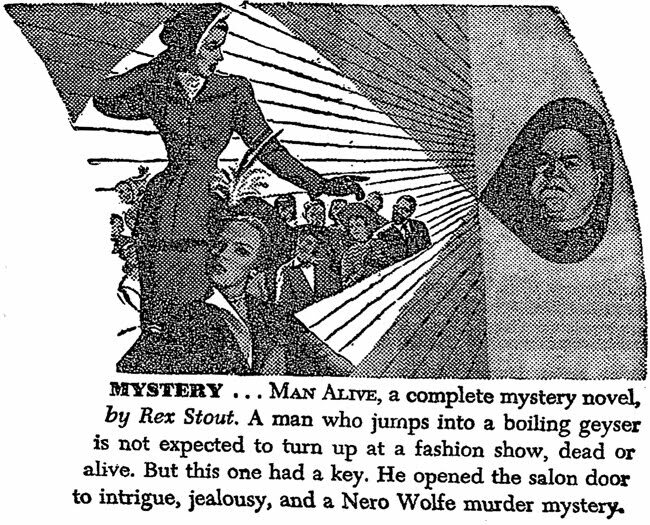 from "Display Advertisement for American Magazine, New York Times, December 2, 1947. "A man who jumps into a boiling geyser is not expected to turn up at a fashion show, dead or alive. But this one had a key. 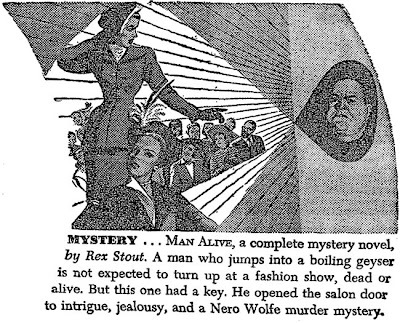 He opened the salon door to intrigue, jealousy, and a Nero Wolfe murder mystery."